FIGURE 5-29 Levels of somatomedins and somatomedin activity in normal children of different ages. Figures in parentheses denote the number of studies providing data in each age range; in each study, mean levels (±SEM) in normal adults were defined as 1.00 unit/ml and values in children were expressed accordingly. Reproduced by permission from Phillips, L. S., and Vassilopoulou-Sellin, R. (1980). Somatomedins. New Engl. J. Med. 302, 438-446.
as liver, IGF-I and IGF-binding proteins are expressed. 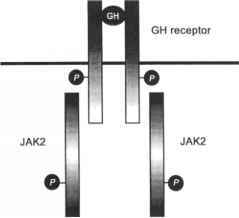 There are reports that GH brings about the activation of protein kinase C, directly or indirectly, and expression of c-/os and c-jun occurs in some cells. In some cells, diacylglycerol and inositol triphosphate levels are increased after treatment with GH. /3-Lipotropin and ACTH are encoded by the same gene product (see Figure 5-10). ACTH and /3-lipotropin are secreted from the anterior pituitary together in response to stress (see Chapter 10). /3-Endorphin acts directly at the anterior pituitary level to stimulate the release of PRL. PRL undoubtedly plays some role in stress adaptation and produces hyperglycemic effects in the liver. In purified neurosecretory granules from bovine pituitary glands, proopiomelanocortin-con-verting enzyme activity (an acid-thiol protease) has been found, making it likely that "maturing" activities operate within the granule itself. /3-Endorphin and ACTH were discovered to be secreted simultaneously from the anterior pituitary in response to stress. Long-term adrenalectomy also promoted the secretion of these two peptides, indicating that Cortisol might be a feedback inhibitory agent for both and therefore that /3-endorphin may be involved, as well as ACTH, in the stress adaptation mechanism. Both of these hormones are secreted in response to corticotropin-releasing hormone (CRH), a further confirmation of their relatedness in terms of mechanism of action and derivation from the same gene product. FIGURE 5-30 Structure of single-transmembrane segment receptors that form homologous dimers; the growth hormone receptor. One GH molecule binds to identical binding sites on the extracellular domains of two GH receptors that form a homodimer. The intracellular domains associate with a tyrosine kinase of the Janus family of kinases. Encircled P denotes potential tyrosine phosphorylation sites on the intracellular portion of GH receptor. Reproduced with permission from Gammeltoft. S., and Kahn, C. R. (1995). 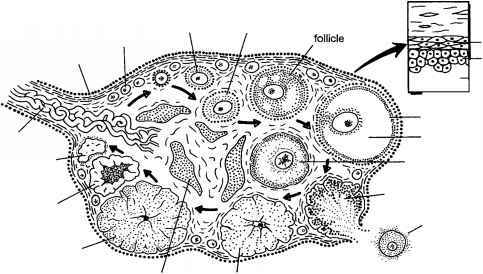 Hormone signaling via membrane receptors. In "Endocrinology" (L. J. DeGroot, ed. ), 3rd edition, Vol. 1, pp. 17-65. W. B. Saunders Co., Philadelphia, PA.